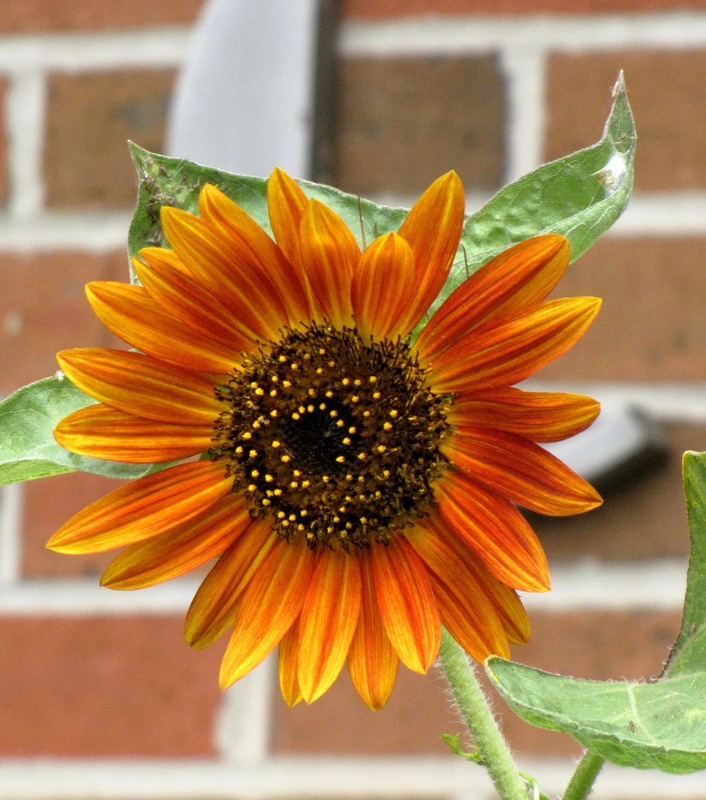 The sunflower — one of my favorite flowers. 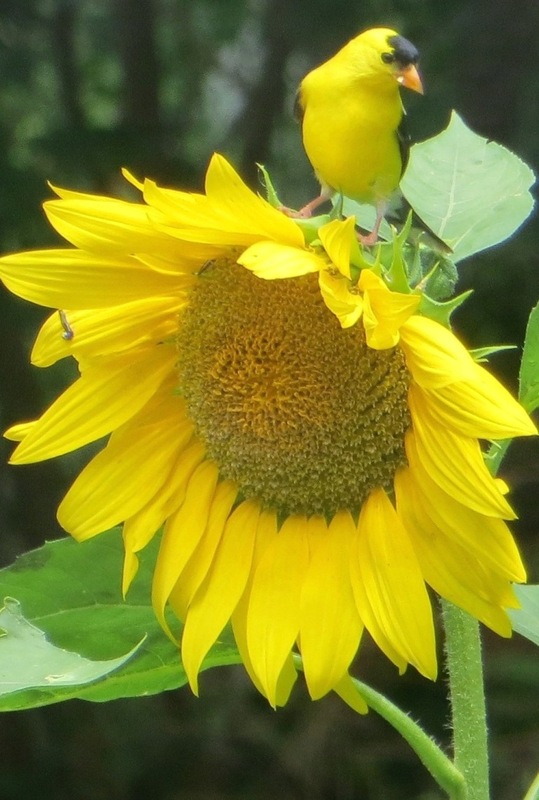 These beauties were growing in a garden at a resort on Reelfoot Lake. 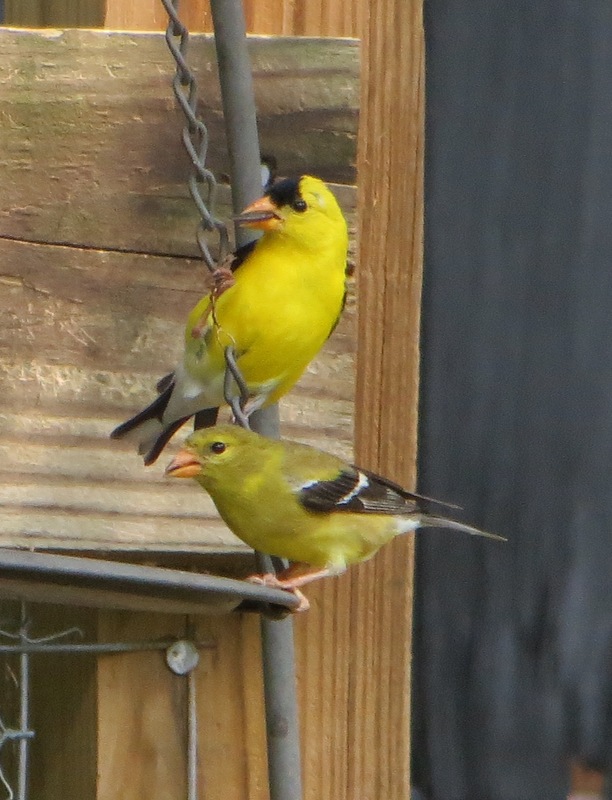 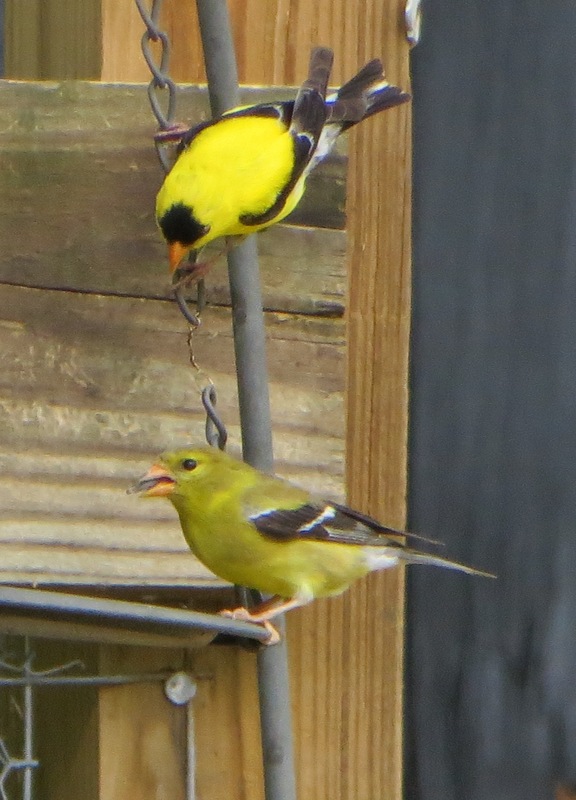 They really seemed to be attracting the bees and goldfinch. 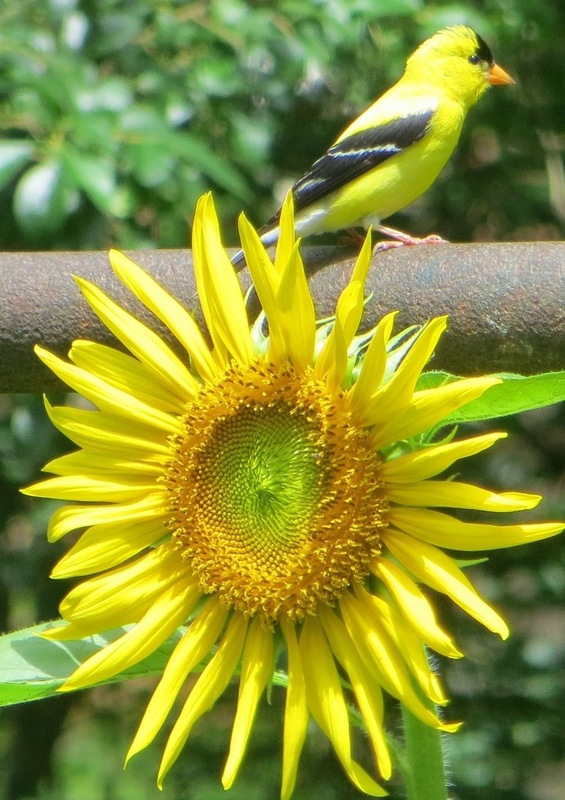 Whose face looks toward the sun. 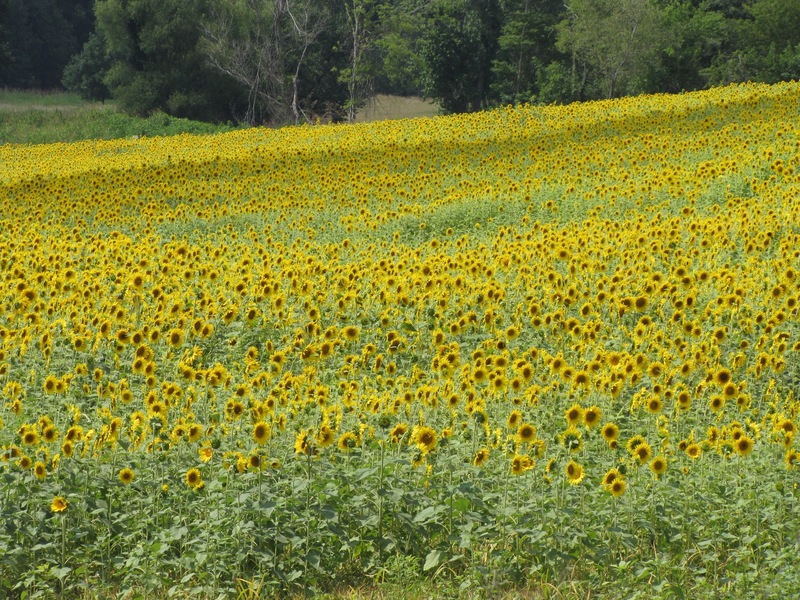 One of the fields near our house is growing a crop of sunflowers this year. 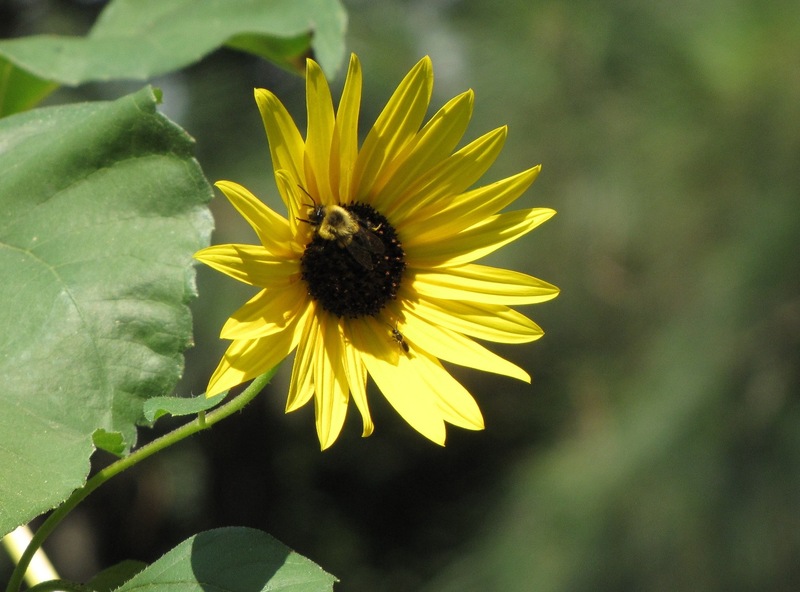 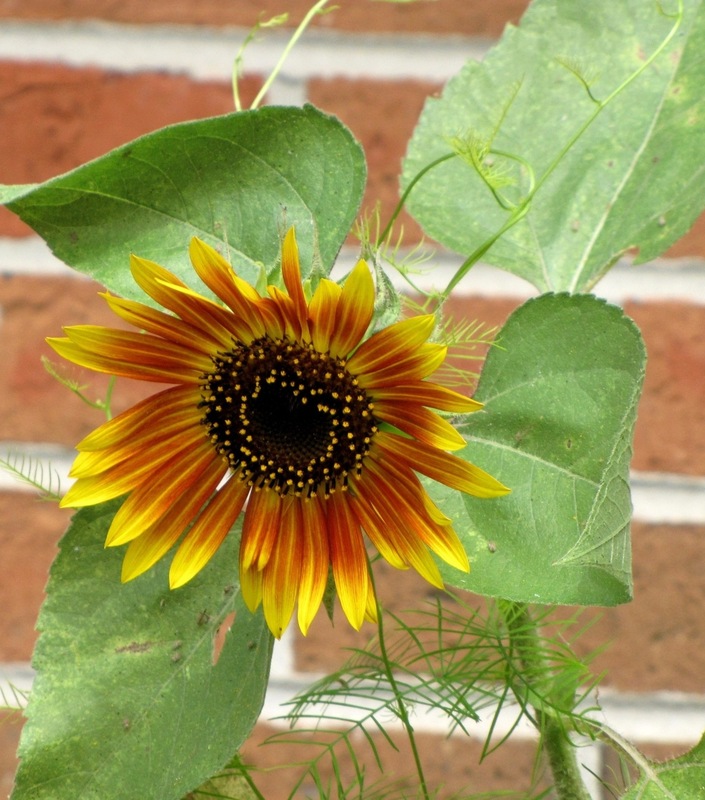 Immature sunflower buds turn their heads during the day to track the motion of the sun (heliotropism). 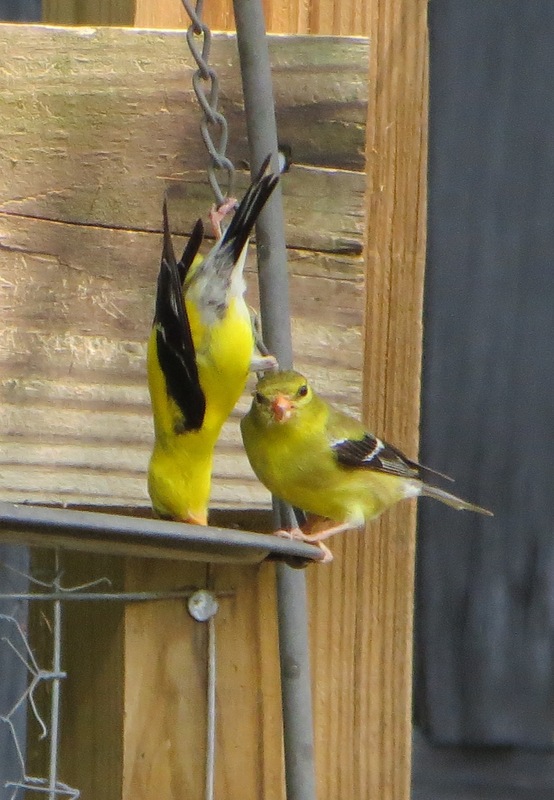 Generally, by the time they mature and their heads become heavier, they face the east in order to catch heat from the early morning light. 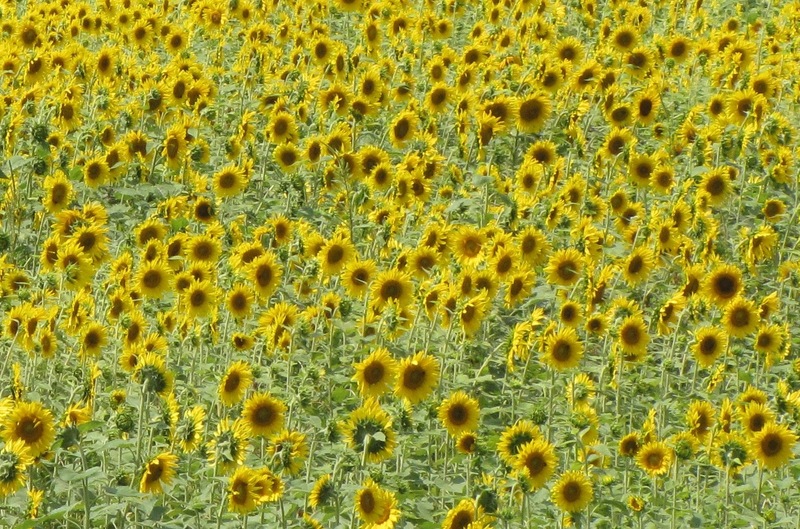 The majority of the sunflowers in this field are facing east, but there are still a few that appear to be “looking around”. 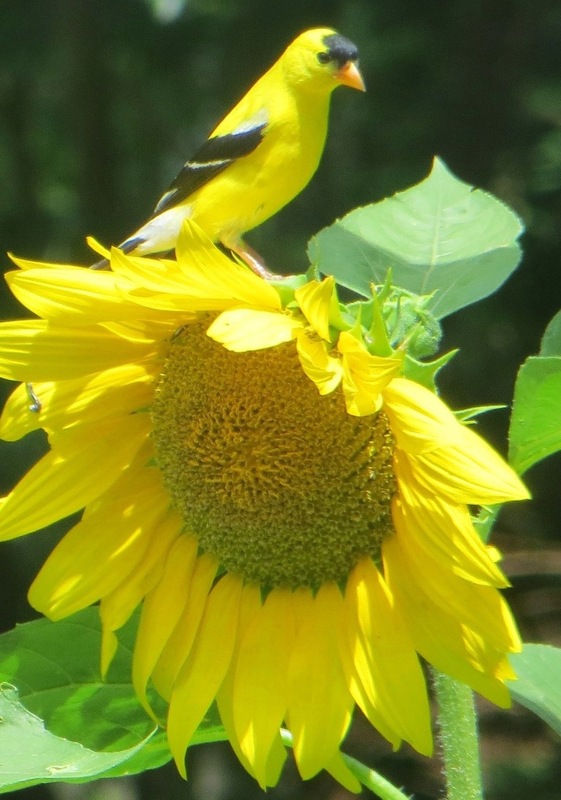 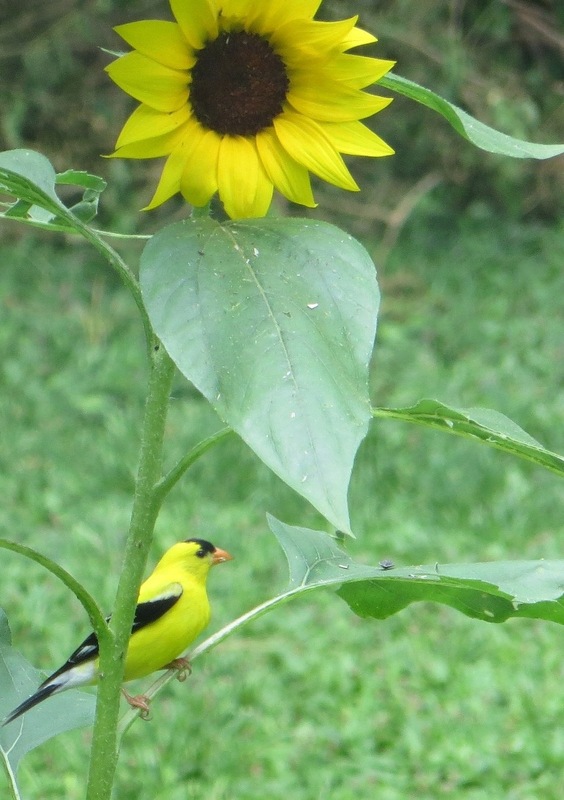 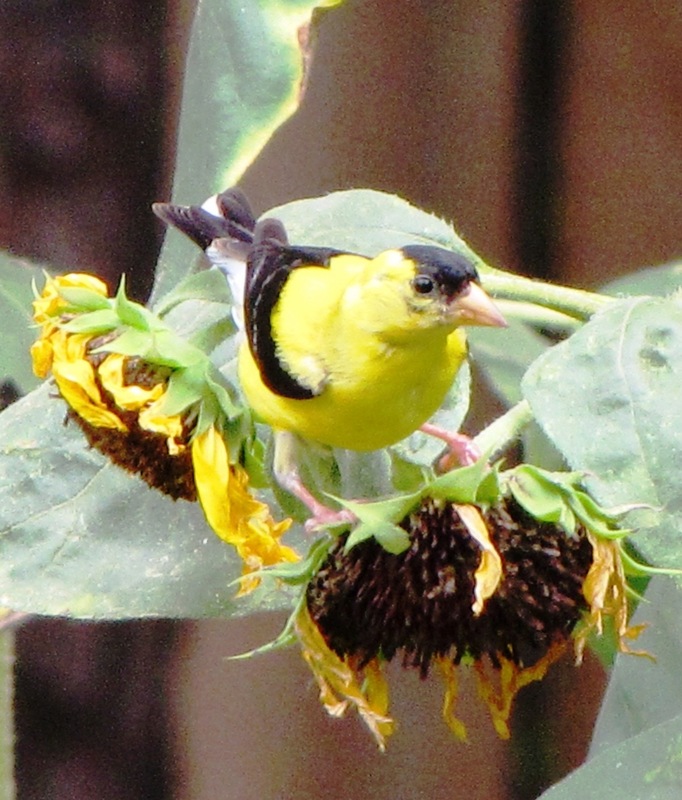 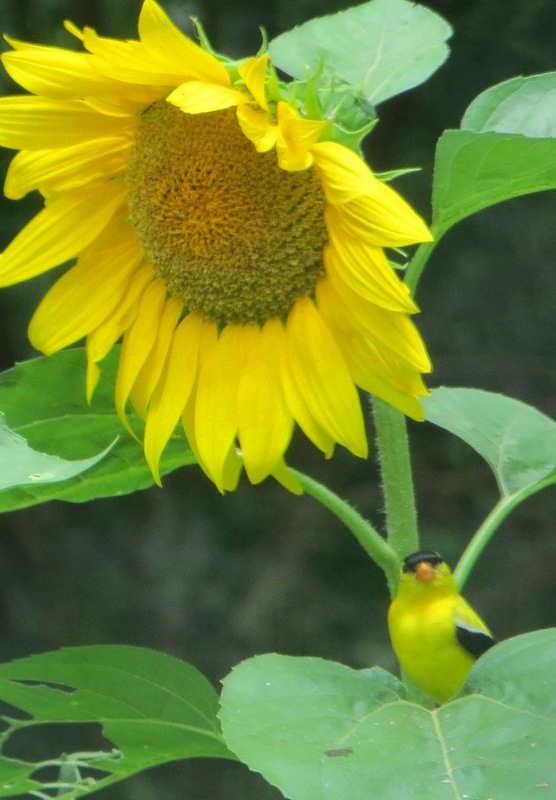 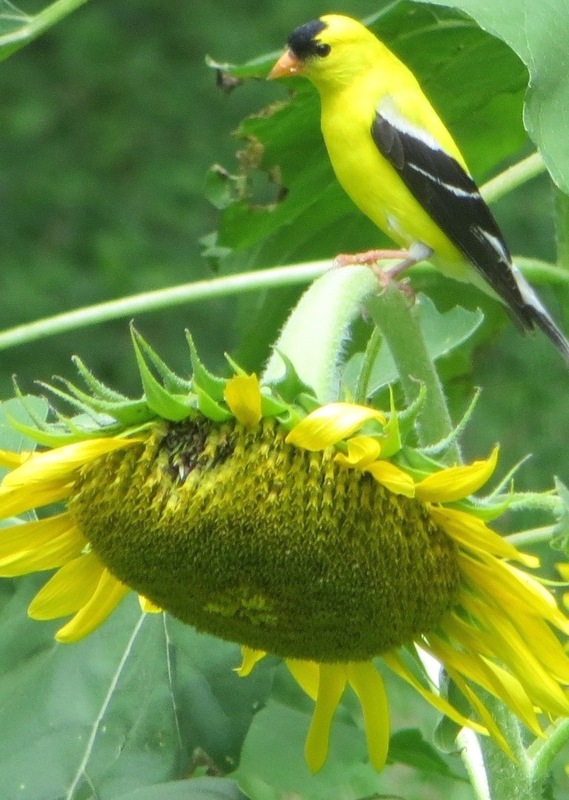 Several shots of goldfinch enjoying the sunflowers in our backyard.